Farewell and thank you to John and Trevor! The Summer holidays are in full swing and the RE Council is beginning to prepare for the new academic year. 2013-14 has been very busy with lots of activity within the RE community, including a major APPG report, professional development regional strategy pilots and work with the REC's new Young Ambassadors. The forthcoming year promises to be no less busy or exciting, especially with the General Election coming up. The REC is sad to be saying goodbye to two very longstanding officers. As many people already know, John Keast is stepping down from his role as Chair on August 31st. He has been a tireless champion of RE for his whole professional career and we have been very fortunate to be able to draw on his reservoirs of experience, understanding and diplomatic skill during his time as Chair, which has coincided with a particularly testing time in the world of RE. We will miss you very much, John, but hope to continue to see you as a Free Churches representative at Council meetings. Trevor Cooling, our Treasurer, is also stepping down from his role. He too has given a tremendous amount of time and energy to the REC and has been a steady hand on the financial tiller at a time when we have most needed it. Trevor's integrity and meticulous attention to detail, not to mention his generosity of spirit, have won him the support and respect of all he has worked with. The REC's financial position, in spite of all our uncertainties, is much better than it might have been without him. We will hope to continue to see Trevor at Council meetings too, as a Stapleford representative. The REC could not continue to function without the dedication and commitment of people like John and Trevor who take on huge volumes of work on a completely voluntary basis. Our very grateful thanks and appreciation to both of them for all they have done. The APPG on RE held its Annual General Meeting on 9th July 2014 at Westminster. You can read the minutes of the meeting here. Stephen Lloyd MP, following a very successful year, was elected for a second term as chair of the APPG, and the vice-chairs were also re-elected, with the addition of Jim Dobbin as an additional vice-chair and Lord Singh as secretary. After a very busy year with several meetings and lots of news coverage, in particular relating to the report on RE’s contribution to good community relations, the APPG will be focusing on making contact with the different parties’ education teams, and asking them to make pledges to support good RE in the run-up to the 2015 election. The Young Ambassadors for RE, including our newest team from Haslingden High School, will be enjoying their summer holidays, but we hope still thinking about the importance of good RE in their day-to-day lives. The REC will be accepting new applications throughout the next year, so if you have a school in mind who might be interested make sure they know about it. Further information and an application form can be found on the RE Council website. In the next term we will be asking YA teams to help to organise their annual conference, which will be held in November and will be host to a very special guest. The ongoing task of the RE Expert Advisory Group (EAG) has been to take RE forward from the National Curriculum Framework for RE (NCFRE), identifying principles for designing an RE curriculum and providing guidance for RE teachers and leaders on progression, assessment and resources. A second edition of the EAG newsletter is available to read here. To subscribe to future issues of the EAG newsletter, enter your e-mail address here. The Qualifications Committee has started work on the revision of GCSE and GCE Religious Studies criteria at the request of the DfE, and its Chair, Deborah Weston, has been very busy working with DfE officials. This work is on-going as we go to press with the newsletter, and there will be more to say in the next issue. The RE PD portal is now being populated with courses for n ext year. Designed as a one-stop shop for teachers of RE to find out about professional development opportunities of all kinds, the portal includes a database of courses across the UK and online. If you are offering any PD courses, workshops, or other provisions over the next academic year, please get in touch or submit your opportunity using the submissions form. The Professional Development Committee of the RE Council, and NATRE, have jointly published an RE exemplification of the 2013 DfE Teacher standards. This is a support tool to help individual teachers interpret the DfE standards, and could be used for self-audit or in the context of professional development. The exemplification material illustrates the particular RE applications of the general standards, and also refers to further helpful sources of information such as the RE Council’s Code of Conduct and Practice for Teachers of RE, as well as the RE Quality Mark criteria. Though not a statement of a statutory requirement, it is something teachers can use as they wish to support their own development. Applications for the Woolf Institute Cambridge Scholarships will open in September 2014. These scholarships are intended to support outstanding research students at the University of Cambridge in the Arts, Humanities and Social Sciences, and with particular relevance to the focus of the Woolf Institute – the multi-disciplinary study of relations between Jews, Christians and Muslims. Applications open in September and the deadline is 2nd December 2014. For further information e-mail Dr Emma Harris at eth22@cam.ac.uk, or visit the Woolf Institute website. Introduction to World Religions is a 10 week online course written and tutored by Dr Jim Robinson for the Department of Continuing Education, Oxford University. It aims to help to develop a clearer framework for understanding the different approaches to the study of religions and to consider in particular what the term ‘world religion’ might mean. It takes the form of transferable credit at FHEQ level 4 of the Credit Accumulation and Transfer Scheme (CATS) and costs £245 for EU citizens and £295 for no-EU citizens. For more information, visit the Department’s website. A new initiative that uses superheroes to teach Religious Education at a school in Cornwall has won a national award. 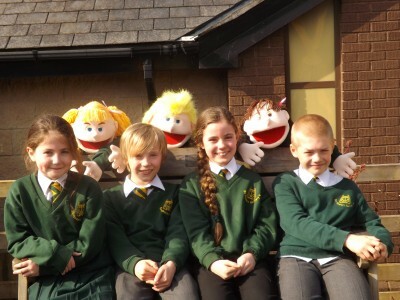 The characters were created by a University of Exeter education expert, in collaboration with a primary school specialist leader of education from Sir Robert Geffrey’s School in Saltash. Now, this novel approach to teaching RE has been recognised at the Times Educational Supplement School’s Awards ceremony by winning the Humanities Award. You can read more about the school’s achievements on the RE Council and TES Awards websites. RE Today are really pleased to announce the appointment of Kate Christopher as RE Today’s new national adviser, following the retirement last year of Rosemary Rivett. Kate was appointed in late February after we received the largest field of candidates for an adviser post we have ever had. Her wide experience in RE, from community school to pupil referral unit and boy’s grammar school, and her exceptional service on the NATRE national executive combine to give Kate excellent starting points in the work of an RE Adviser. You can read more about Kate on the RE Today website. Will you or anyone you know be new to secondary RE in September 2014? Hoping to be a newly qualified secondary RE teacher in September 2014? Value having an experienced RE teacher/leader as a personal mentor? Keen to extend your repertoire of strategies for teaching RE? Want support with deepening your subject knowledge, to teach six religions and other worldviews? Click here to check out the New to RE programme from the National Association of Teachers of RE (NATRE). As the world remembers the events that started the First World War, many schools are wondering how best to mark the anniversary. Barnabas in Schools have produced a cross-curricular range of RE resources for primary teachers including a teacher's book of stories and lessons, a creative arts Barnabas RE Day and an INSET/CPD training session for staff. For more details (and a short introductory video) visit the Barnabas in Schools website. Annual Conference, 'Lessons from Narnia: Intellect and the Imagination in Religious Education', has officially opened. 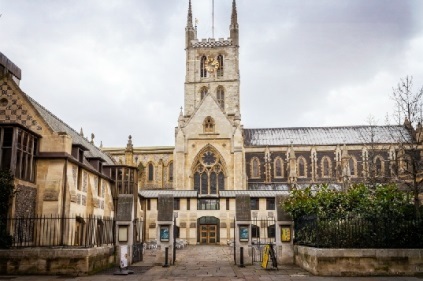 The conference is on Wednesday 19th November, and ISRSA is looking forward to welcoming bumper numbers to Southwark Cathedral. Professor Alister McGrath is the principal speaker, and there are many other exceptionally high quality seminar-leaders. For further information and the booking form, visit the ISRSA website. The Hindu Council UK has uploaded two new half-hour video sessions, covering the Hindu scriptures for GCSE students. These are the Scriptures of Authority and Scriptures of Lower Authority. Further resources are available on the Hindu Council UK YouTube channel. The Maimonides Interfaith Foundation has launched its Interfaith Explorers webinar series aimed at primary school teachers delivering RE, PSHE and citizenship education. Providing expert advice and guidance, the Interfaith Explorer webinar series is designed for all educationalists who want to gain useful insights to a range of topical RE related issues. 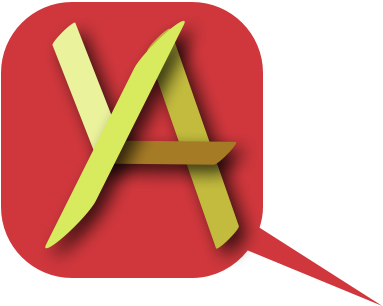 If you want to find out more or register, visit the Interfaith Explorers site - where you can also watch recent webinars including ‘Muslim Pupils and Fasting’ and ‘Celebrating Diversity - supporting delivery of SMSC in schools’. The next one planned is at 4pm on Thursday 25th September 2014 on ‘RE: handling interfaith conversations with pupils’. The Teach RE Course continues to develop and grow. In September, we are launching another new module which encourages teachers to use fieldwork to develop their subject knowledge. Also, if you haven’t already seen it there is now a powerpoint presentation about the course on the website www.teachre.co.uk. The 3forRE programme is also expanding with more universities now part of the scheme, including many with distance learning opportunities for studying for a Masters. For further information see the Culham St Gabriel’s website.